June got off to a banger with Quentin Pelorson’s Seeking Part 3 edit on June 2nd. From the opening downside whiplash pedal 5 stepped beautifully into x-ft halfpacker, this edit really caught my attention. Quite possibly my favourite line is at the 1:13 mark, I’ve already rewinded this part twice to work out what happened, I could go on and on here. June 7th was a good day for edits, with Scott Powell and Matti Hemmings both throwing down. Always interesting to see what Scott Powell is up to, hit play to check out Scott’s multiple bike set ups and how he uses them to his advantage. Scott had this to say about his latest project for NuGo Nutrition. “I am very pleased to have been chosen as NuGo’s athlete of the month for June 2016! This being doubly exciting because June is my birthday month, and this year marks a mile stone year for me as I will have reach 30 years of progressive riding. Matti kills the front and back wheel back at his home in Cardiff, Wales. Definitely worth watching this “game, set and match” edit again! Alo on the 7th, Johann Chan dropped this nice edit from the Ground Control UK event at Spin London featuring in order of appearance: Matti Hemmings, Yinka Thomas, Andy Hale, Steve Green, Iñigo Arroyo Gutierrez, TGM Maz, Kevin Browne, Amos Burke, Remus Simion, James White & Jason Forde. On June 10th, it was great to see a fresh edit out of former World Champion, Raphael Chiquet! Front and back wheel combos for his Welcome to Nomadeshop, enjoy rewatching this one! Two days later, and a nice treat from by one of the most underrated cats in the game, Takuya Higa! The Light of Dawn really comes alive at the 1:28 mark with a super nice inside x ft karl bar flip direct to hitch turbine line, my favourite line of this edit is the jump to xft inside karl backwards xft spinning steam flowed into xft karl turbine jump to spinning hitch, great stuff from Takuya and yukipkoproject! On the 13th, Owen Bohn is without a doubt one of the rising stars on the flatland scene right now, peep this really nice back wheel line he just dropped for his Progress series. Really liked the no-handed junkyard turbine around the 00:27 mark! The second Must watch edit of the month dropped on the 14th, Dub has been working on his amazing inside switch b rolling brakeless undertaker all winter long and has come up with 8 new variations in this amazing new “Upgrade 2: Undercover” edit, from the opening inside switch b undertaker to two footed backyard I was gripped to this. If I had to pick a standout it would be the ant rider turbines directly into inside switch b undertaker out at around the 2:45, furious! This is amazing, hitting the rewind, take a concept and push it as far as you can! On the 16th, another must watch edit with a similar concept to Dub’s, take a trick and push that technique as far as you can. This time, the nose manual. Keelan Phillips explores the nose manual, and continues to perfect his execution of the multiple nose manual g-turns (loved the slow controlled nose in circles to backwards nose around the 1:30 + look out for the banger at 2:30). Absolutely incredible level of execution, that takes our sport up a level! 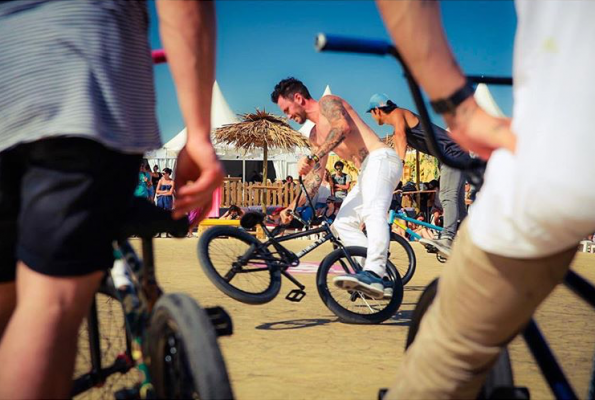 A day later at back to contest news, Matthias Dandois’ Sosh Freestyle Cup was going down in Marseille, France. Also on the 24th, Williams Perez put out an amazing back line clip that is certainly worth another watch. 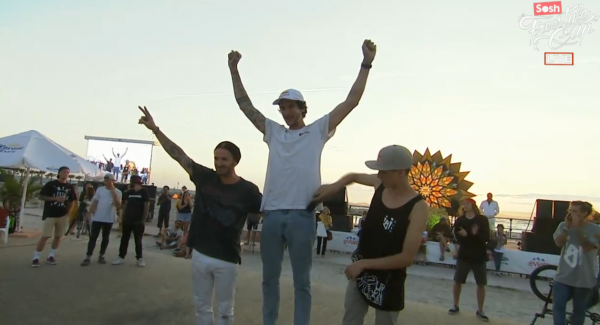 On June 25th, Matthias Dandois won the 2016 Sosh Freestyle Cup on the beach in Marseille, France, followed on the podium by his good friend, Alex Jumelin and young buck, Benjamin Hudson! Congratulations to Alex and Benjamin also, it was a tense battle format contest with a few surprises such as Raphael Chiquet beating the World Circuit Champion Viki Gomez. Giannis Caternellis was once again prolific throughout the whole year, on June 26th he posted 8 minutes of fresh footage for his 59th episode in his freestyler series. ’m not sure if this is a stem commercial or what the deal is, but after the intro look out for the amazing backwards manual line around 1:04. It’s pretty rare to see Keisuke Matsumoto these days, great way to start the last week of June. 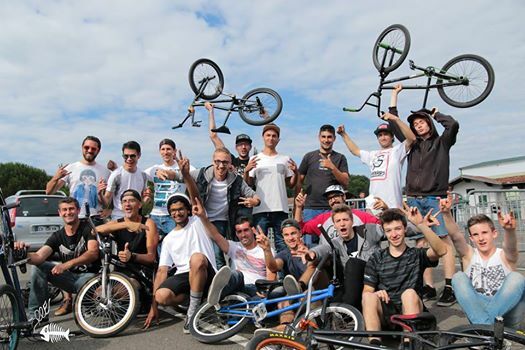 On June 28th, Paul Dezeix sent through some news about the BMX Summer Flatland Camp that went down this weekend in Southern France. Congratulations to Thomas Noyer, Paul Dezeix, Romain Kleine and Nils Vaugeois for the win in their respective classes. Who doesn’t love Kenshiro Ojima’s video updates for Spaceark? Here is June’s with the stylish, Tomokazu Morinaga. Hit play to rewatch this one! And that’s a wrap on June! Thanks to everyone who has voted so far!